According to the American Society of Gene and Cell Therapy, cell therapy is defined as “the administration of living whole cells for the patient for the treatment of a disease.” In oncology, this has largely meant immunotherapy with T cells, both engineered and not. But that is changing. 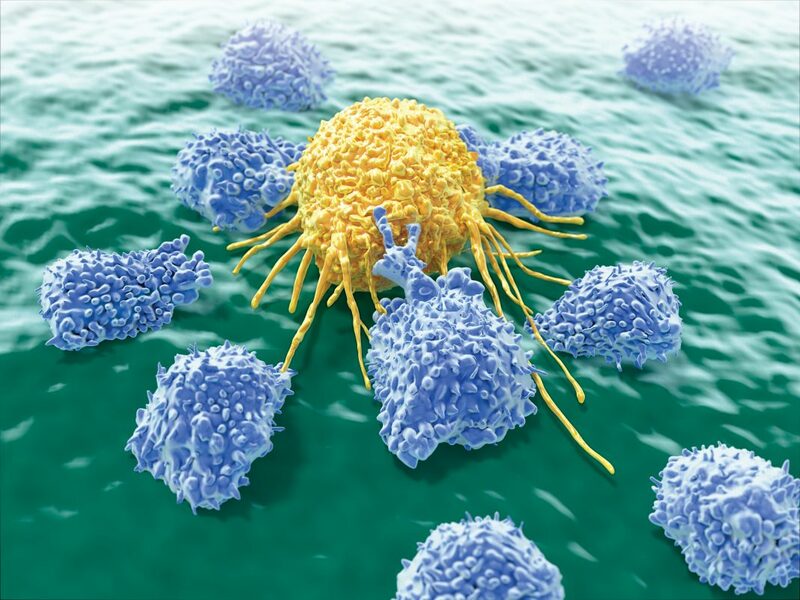 As our understanding of the innate immune system catches up with our understanding of the adaptive immune system, natural killer (NK) cells are emerging as an alternative to T cells in eliciting an immune response to tumors. At the Innate Killer Summit, held last month in San Diego, scientists in industry and academia described the approaches they are using to improve cell therapies. Some of the scientists are engineering NK cells to express chimeric antigen receptors (CARs), emulating the development of CAR T cells. And of course the tumor microenvironments surrounding solid tumors contain immunosuppressive cells like myeloid-derived suppressor cells, inhibitory macrophages, and regulatory T cells (Tregs) that all conspire to inhibit the activity of T cells—including any CAR T cells that doctors might want to use to destroy the tumor. Parihar’s lab is “trying to find the right modifications to make to NK cells,” he says. The idea is to turn cold tumor microenvironments into hot ones, that is, to relieve endogenous immunosuppression so that CAR T-cell therapies can do their work. 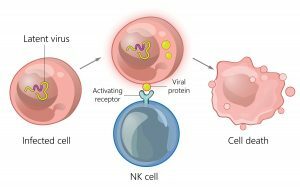 “It took a while to figure out how to engineer NK cells outside of the body,” he laments, but his lab found a way to make CAR NK cells, NK cells that express a chimeric protein that consists of two linked components: the activating receptor, NKG2D, and the cytotoxic ζ-chain of the T-cell receptor. These NKG2D.ζ cells targeted and killed immunosuppressive myeloid-derived suppressor cells in xenografted tumor microenvironments and in tissue culture studies with human neuroblastoma cells. Unlike previous strategies used in attempts to downmodulate myeloid-derived suppressor cells in the tumor microenvironment, these NKG2D.ζ cells have no off-target toxicities and continue to relieve immunosuppression long after they are first administered—about two weeks in the lab. NKG2D.ζ cells may do more than enhance the efficacy of CAR T cells delivered to tumors. They may help recruit the CAR T cells to the tumors. “The factors that drive human NK cell development are poorly understood, especially compared to T and B cells, because their development is much less tissue restricted,” points out Emily M. Mace, PhD, an assistant professor of pediatrics at Columbia University. One of her research aims is to define the nature of the cell–cell contacts and the role of cell migration in shaping NK cell functional maturation. Robert Igarashi, PhD, the co-founder and CSO of CytoSen Therapeutics, says that his company proclaims its approach in its tag line—In the war against cancer, numbers matter.™ According to him, the foremost component necessary to turn NK cells into a viable therapy is generating and maintaining the proper dose, which needs to be quite high. “Normal adults have one to two billion circulating NK cells. We dose at 10 times that,” he points out. CytoSen’s method expands NK cells by stimulating them with IL-21, which yields a higher and faster expansion than previous methods as well as more potent cells. Each NK cell—and remember, there are a lot of them—packs more tumor-killing ability. CytoSen uses IL-21 linked to proprietary nanoparticles to stimulate its NK cells rather than feeder cells, since feeder cells are a commercial liability. Constituting tumor-derived live material, feeder cells represent a contamination risk. “Our IL-21 linked nanoparticles are inserted into clean preps of biological membranes along with extracellular proteins,” explains Igarashi. During his postdoc in the early nineties, Lawrence Lamb, PhD, CSO of Incysus Therapeutics, noticed that about a quarter of leukemia patients had elevated levels of γδ T cells after receiving αβ T cell–depleted bone marrow transplants. “These patients were surviving in an unusual proportion after bone marrow transplantation,” he says. Lamb spent his career following up on this initial observation, demonstrating that γδ T cells could kill leukemia cell lines in the lab. But they were rare and difficult to work with. It took about 10 years to figure out how to expand the cells in vitro so they could be manufactured at scale and used in the clinic. “γδ T cells and NK cells do a lot of the same things,” Lamb explains. “An advantage of γδ T cells is that they do not have the major histocompatibility complex requirement for recognition, so they can recognize things an NK cell can’t. They also have a different repertoire of activating and suppressive receptors, so they’ll probably be appropriate in different settings than NK cells.” Incysus has made γδ T cells that are protected from the chemotherapeutic agent temozolomide (Temodar), and so they can be used in tandem with it. The chemotherapy makes the tumor microenvironment more susceptible to the γδ T cells, which then recruit other innate immune cells to further attack the tumor. Incysus will attempt to test this system for use in glioblastoma patients later this year. Ultimately, Lamb foresees γδ T cells being used as a closing therapy—not to replace CAR T cells, but to be administered as “immune system augmentation” to completely eradicate disease after it has been rendered undetectable by other treatments. Rubius Therapeutics uses its Rubius Erythrocyte Design™ (RED) platform to genetically engineer and culture allogeneic, ready-to-use cellular therapies called Red Cell Therapeutics™. The company says that biotherapeutic proteins may be expressed within or on the surface of the cells for the potential treatment of rare diseases, cancer, and autoimmune diseases. Mature red blood cells (RBCs) may be formed from hematopoietic stem cells in the laboratory, thanks to a breakthrough made by Harvey Lodish, PhD, a biology professor at MIT and a pioneer in the field of erythropoiesis. Intending to create blood for transfusions, Lodish brought his RBC technology to Flagship Pioneering, which developed a method for producing nucleated precursor cells capable of expressing therapeutic proteins. This method pointed to a new kind of cell therapy and led to the formation of Rubius Therapeutics. Today, five years after its founding, Rubius uses technology that processes CD34+ progenitor cells taken from O negative blood, which 95% of people can receive. Lentiviral vectors deliver genetic material to the precursor cells, which are then cultured and expanded in a bioreactor. The cells mature, lose their nuclei, and become Red Cell Therapeutics™ (RCTs). RCTs have several potential uses: correcting rare enzyme deficiencies, killing tumors, and dampening autoimmune responses. “It was important for us to show that we weren’t [limited to] one therapeutic area,” notes Torben Straight Nissen, PhD, president of Rubius. 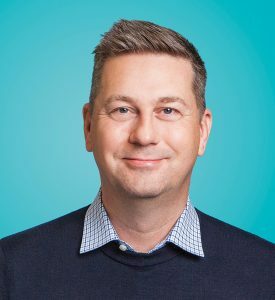 He is just as adamant on another point: “The future of cell therapy is allogeneic,” a property that is naturally built into the company’s products, which are derived from precursor cells of universal donors. In addition, the company’s products may be stored and used “off the shelf.” Finally, the products may be administered in low and infrequent doses. Red cells can circulate for up to 120 days. The first target for Rubius is the treatment of phenylketonuria (PKU), a rare disease characterized by a buildup of the neurotoxic amino acid phenylalanine. For an upcoming trial, PKU patients will receive Rubius’ RTX-134, which expresses the enzyme phenylalanine ammonia lyase (PAL) inside an RCT to break down the phenylalanine. The company plans to expand its work to other enzyme replacement diseases, such as homocystinuria and refractory gout, as well as cancer and autoimmune disorders. To support expanded activities and continued growth, the company recently purchased a 135,000-square-foot manufacturing facility in Smithfield, RI, where it will scale production from 50-L to 200-L bioreactors. Given the uniqueness of the RCT approach, Rubius may soon start drawing blood in the competitive cellular therapy space.